An Assembly is group of racially aware people—a body of racially awoken Adamic believers. We’re an Assembly dedicated to learning and doing the will of Yahweh יהוה our Elohim. Our congregations vary in size from a few dozen to several hundred. We come from all kinds of work backgrounds, but share a vision—to teach the Gospel and prepare a Chosen people for service in the upcoming Reign of Elohim (Kingdom of Yahweh/God). Our outreach and Sabbath services are Scripturally-centered, teaching directly from the Word of Yahweh. Whether your local congregation is big or small, you’ll find a caring pastor who offers a true scriptural teaching and personal counseling so we can grow together. Yahshua יהושע the Messiah reveals Yahweh the Father. Yahshuas’ sacrifice and resurrection makes your eternal life possible. He came to reveal the Father. Yahweh is a personal Being of supreme love who wants you to be part of His Racially Chosen Family for all of eternity! We study and believe the entire Holy Scripture. We believe the entire Scripture represents Yahweh’s full message to Adamkind. All Scripture—both Old Testament and New Covenant (Testament)—is important (2 Timothy 3:16), and Yahweh’s Word is living and authoritative for all Israelite Adamic Christians. We have many congregations around the United States of America and the Israelite Nations of the world worshiping on the Scriptural Sabbath day using Yahweh’s calender. This year it falls on Tuesday sundown to Wednesday sundown so find a congregation near you and talk to a pastor. We have many congregations in the United States of America. Many of our congregations meet in rented halls because we focus first on proclaiming the gospel to the world and providing congregational support through caring pastors. We encourage everyone to bring a Holy Scripture with them and follow along. Our pastors typically use the ISR 2012 edition but many will also use the King James Version in preparing Sabbath sermons, although many different versions are referenced when useful. We seek Yahweh’s guidance in all we do—especially in worshiping Him! The congregation is first led in a short prayer, asking for Yahweh’s guidance and inspiration on the service. We normally present two Scriptural-focused messages in each service that show how to live Yahweh’s way of life. While many congregations do have classes for teens and children, we do not have a separate service for them. We encourage the whole family to sit together for services to learn and worship Yahweh together. Parent rooms for nursing or for putting a child down for a nap are available. Ask the local pastor if you need help. Many congregations offer social events like potlucks, game nights and sporting events. The Assembly is a family unit, and families grow when they spend time together. If you can’t make it in person, you can join in by watching online. Many congregations offer Scripture study groups that meet during the week to go deeper into Yahweh’s Word. If you can’t make that, no problem! Every other Thursday night the home office congregation webcasts live Scriptural studies online. You can watch live whenever we webcast, or you can stream or download the recorded Scriptural study anytime for later viewing. 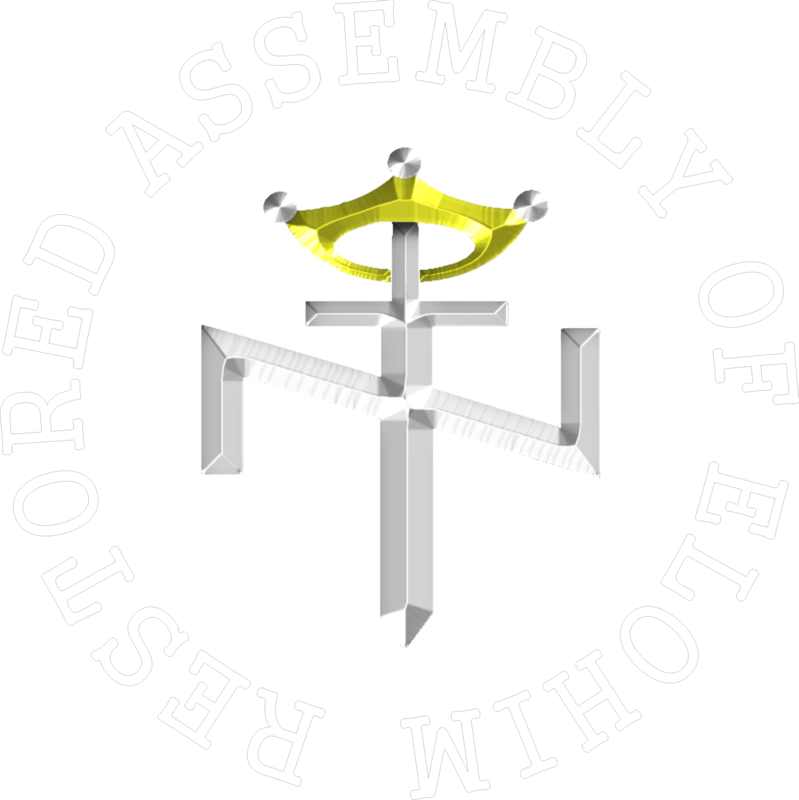 The Aryan Nation, INC., is the sponsor of ‘Restored Assembly of Elohim’, which produces a variety of Scriptural based content including an informative weekly television program “The Truth To Come”, an enlightening and educational magazine “The Divine Truth” and many other study tools to help you improve your life and learn more about your Creator. The Assemblies’ sponsored charity, Divine Works, focuses on helping Assembly members and their communities in emergencies. Many local congregations also offer outreach programs in their local community. The Assembly sponsors regional activities throughout the year hosted by our local congregations. Check out our events calendar to see when the next Winter Family Weekend, Women’s Weekend or Focused Educational Seminar will take place near you. We believe that Yahweh is building and calling upon a family, His racially chosen family of Adamic Israelites. He wants all Adamkind —including you— to be part of that family. We’re committed to recapturing and practicing true Scriptural or Israelite Christianity and sharing Yahweh’s awesome plan with the world. We strive to follow the same teachings, doctrines and practices of the early Assembly. 2) Making sure congregations and caring pastors were available to help people in their Two Seedline Christian journey.